Bell & Gossett Three-Piece Circulators Feature The Finest Circulator Motor Available. These three-piece circulators feature a sleeve bearing, oil lubricated motor that is built to last and provide optimum performance. Bell & Gossett Booster Pumps can be used for water circulating applications in hydronic, solar and chilled water systems. 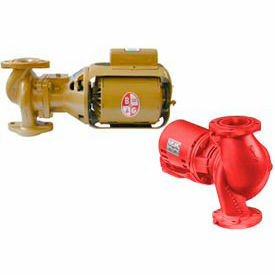 When equipped with a bronze pump body, Bell and Gossett booster pumps can be used with potable water systems. 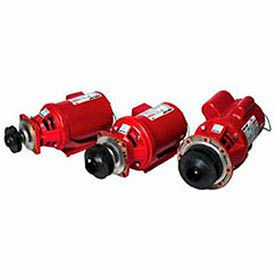 These three-piece circulators are designed to pump liquids at working pressures up to 125 psi at a maximum temperature of 225°F. Noise dampening couplers have a flexible spring design to promote quiet operation. Long bronze sleeve bearings maintain shaft alignment and provide constant oil circulation over bearing surfaces. These oil lubricated circulators feature an oversized precision ground pump shaft to support large bearing surfaces. Hardened integral thrust collar minimizes end-thrust to ensure long seal and bearing life. Internally flushed seal design prevents accumulation of air and dirt at seal faces to assure longer seal life. Close impeller/body tolerances help minimize water slippage to maximize efficiency. UL, CSA listed. 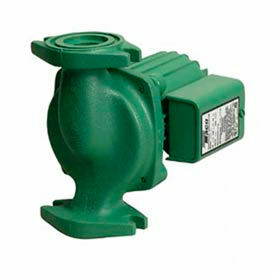 Bell & Gossett Maintenance-Free Series PL&TRADE; Circulators Provide A Superior Alternative To Large Wet Rotor Circulators. For use with hydronic heating systems and portable water in residential and commercial applications. 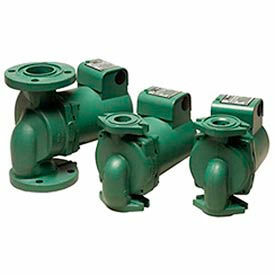 Grundfos UP And UPS Series Circulator Pumps Are Used For Larger Residential Or Commercial Heating And Air Conditioning Applications. 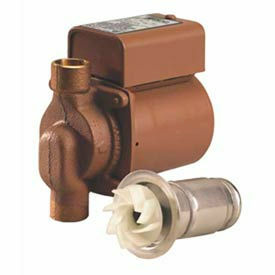 Grundfos UP And UPS Series Circulator Pumps are made brass, bronze, cast iron or stainless steel for long lasting durability. Features wet rotor design technology for superior performance. Built-in motor protection offers greater safety. Low noise for ease of use. Horsepower, flow rate and head vary per model. 3 Year Limited Warranty. Bell & Gossett NRF Wet Rotor Circulators Are Designed For Use With Hydronic Heating Systems In Residential And Light Commercial Applications. This selection of maintenance-free wet rotor circulators is available in Cast Iron or 100% lead-free Bronze construction, Bell & Gossett NRF circulators feature up to 80% more starting torque than its competitors and a maximum working pressure of 150 psi. Circulators are made with corrosion resistant stainless steel face plates and rotor sleeves. These rotor circulators have a DuraGlide bearing system that eliminates seasonal freeze-up to ensure efficient year-round use. One-piece high-nickel stainless steel stator isolates system fluid to maintain bearing alignment for long life. Corrosion and chemical resistant carbon bearings and ceramic shaft. Includes a self-cleaning particle shield to protect shaft and bearings from start-up debris. Heat resistant, non-ferrous impellor impeller is stabilized with a closed design to improve operating efficiency. Bronze Circulators are designed for potable water applications. UL listed. Taco® Model 0011 Cartridge Circulators Are Used For High Head, Medium Flow Applications In Residential And Light Commercial Venues. Designed for hydronic heating, radiant heating and chilled water cooling systems. Cartridge circulators are made for all open-loop systems. Provides standard high-capacity output in a compact build. Replaceable cartridge contains all moving parts and allows for easy service, rather than replacing the entire circulator. Exclusive ACB anti-condensate baffle with ambient air flow protects motor windings against buildup of condensation. Cartridges are self-lubricating with no mechanical seal for maintenance-free operation. Universal flange to flange dimensions. Available in Cast Iron, Bronze or Stainless Steel. UL® listed. Taco® Model 006 Cartridge Circulators Are Used For Circulating Hot And Chilled Fresh Water In Open Or Closed Loop Applications. Circulators feature a standard high-capacity output in a compact build. Direct drive ensures low-power consumption. Replaceable cartridge contains all moving parts and allows for easy service, rather than replacing the entire circulator. Cartridges are self-lubricating with no mechanical seal for maintenance-free operation. 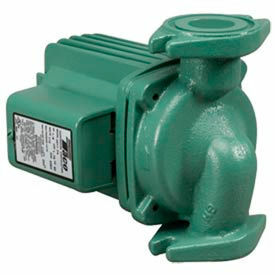 Circulators are available in Bronze or Stainless Steel with Sweat, Threaded or Union Connections. UL® listed. 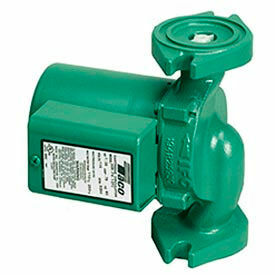 Taco® Model 0012 Cartridge Circulators Are Used For Large Residential And Light Commercial Water Heating And Cooling. 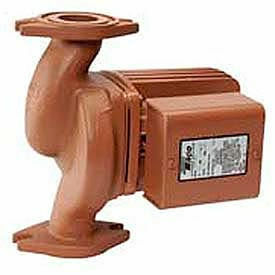 Designed for high flow/medium head applications in hydronic heating, radiant heating and chilled water cooling systems. Cartridge circulators are made for all open-loop freshwater systems. Provides standard high-capacity output in a compact build. 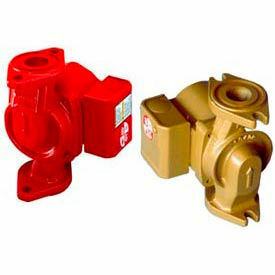 Replaceable cartridge contains all moving parts and allows for easy service, rather than replacing the entire circulator. Exclusive ACB anti-condensate baffle with ambient air flow protects motor windings against buildup of condensation. Cartridges are self-lubricating with no mechanical seal for maintenance-free operation. Universal flange to flange dimensions. Available in Cast Iron, Low-Lead Bronze or Stainless Steel. UL® listed. Taco® Model 0014 Cartridge Circulators Are Used For Medium Head/Medium Flow Water Heating And Cooling Applications. Cartridge circulators are made for hydronic heating, radiant heating, chilled water cooling and open-loop domestic freshwater systems. Provides standard high-capacity output in a compact build. Replaceable cartridge contains all moving parts and allows for easy service, rather than replacing the entire circulator. Exclusive ACB anti-condensate baffle with ambient air flow protects motor windings against buildup of condensation. Cartridges are self-lubricating with no mechanical seal for maintenance-free operation. Universal flange to flange dimensions. Available in Cast Iron or Stainless Steel. UL® listed. Taco® Water Circulation Pumps & Circulators Are Used For Circulation Of Water For Heat Transfer In A Wide Range Of Residential And Light Commercial Applications. Available in a variety of materials including bronze, cast iron and stainless steel. Configurations include Cartridge Circulators, 3-Piece Circulators, In-Line Circulators, Horizontal Split Case Pumps, Vertical Multi-Stage Pumps and D'Mand Instant Hot Water Systems. Used for hydronic heating, radiant in-floor/panel heating, indirect domestic water heating, heat recovery water source heat pumping, domestic water recirculation and more. Taco® High Capacity Circulators Are Designed For Quiet, Efficient And Dependable Operation. Used for a wide range of medium to high flow/head hydronic heating, chilled water cooling and hot water recirculation applications. Close-coupled, maintenance free motor with permanently lubricated, sealed-for-life bearings. Made with Noryl® impeller and durable carbon/silicone-carbide mechanical seal for unmatched reliability. Rugged 1/2" stainless steel shaft for corrosion resistance. Aluminum motor housing. Universal flange to flange dimensions are used for retrofitting. Stainless Steel Circulators can be used for open, domestic water recirculation systems. UL listed. 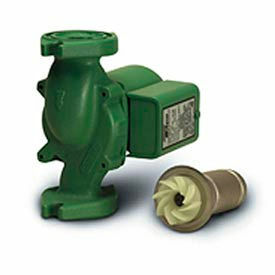 Taco® Pro-Fit® Pumpless Volute May Be Retrofitted To Other Brand Name Circulators. Each model is a universal replacement for multiple Bell & Gossett™ or Armstrong™ circulator models in either iron or bronze. Volutes include heavy-duty maintenance-free lubricated motor, universally-sized replaceable bearing cartridge and durable Noryl™ impeller for open or closed systems. Factory pressure tested. Available in 115V single phase or 230V three phase models. 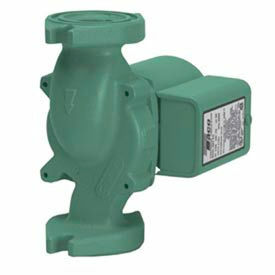 Taco® Model 007 Cartridge Circulators Provide Quiet Operation In A Variety Of Water Heating And Cooling Applications. 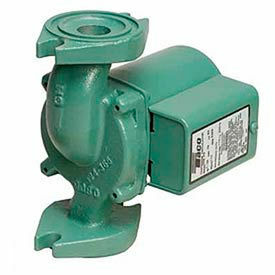 Cartridge circulators are wet-rotor in-line single stage circulator pumps. Quiet operation for a wide variety of water circulation applications. Circulators ensure a high-capacity output in a compact design. Direct drive ensures low power consumption. Cartridges are self-lubricating with no mechanical seal for maintenance-free operation. Universal flange to flange dimensions. Available in Cast Iron, Bronze or Stainless Steel. UL® listed. 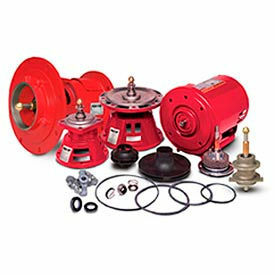 Taco® Pro-Fit® Replacement Parts Are Suitable For A Variety Of Parts In Water Pumps And Circulators. Replacement parts are available for a variety of applications. 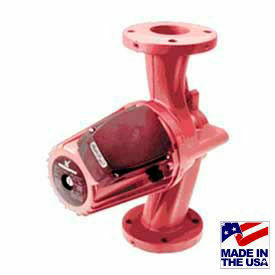 Pro-Fit® parts can be used with Bell & Gossett and Armstrong brand pumps. Bearing Assemblies and Cartridge Assemblies are made with die-cast aluminum or cast iron bracket with corrosion protection coating for lasting durability. Assemblies are extremely quiet running. Replacement Couplers feature heavy-duty springs and reinforced eyelets to fit multiple pumps with 1/2" motor shafts. Couplers are made using rugged cast zinc with steel reinforced eyelets to increase the life of the coupler. Gasket Kits include six body gaskets to replace all models up to 3 HP. Impellers are made from durable composite Noryl® and replaces any steel, brass or plastic impellers. Integrally molded brass key insert provides added strength. Motor Assemblies are available with a sleeve-bearing or ball-bearing build. Finned end rings provide efficient cooling. Permanently lubricated and maintenance-free. Made with carbon steel shaft and class B insulation. Fitted with steel mounting cradles. Oil Kits include Pro-Fit® pump and motor lubricant that is lightweight and detergent-free for all pump models requiring oil. Seal Kits feature ceramic and carbon facing surfaces for extended wear and long life. Fits each version of pump shaft. Ring Motor Mounts are direct replacements for all Bell & Gossett™ motors 1/12 to 3/4HP. Taco® Model 008 Cartridge Circulators Are Used For Use In Higher Head Applications. Circulators are made for residential and light commercial applications. Circulators are made with a compact build and standard high-capacity output. Replaceable cartridge contains all moving parts and allows for easy service, rather than replacing the entire circulator. Cartridges are self-lubricating with no mechanical seal for maintenance-free operation. Universal flange to flange dimensions. Flanged circulators are available in Cast Iron or Stainless Steel. Sweat connections are available in Bronze. UL® listed. 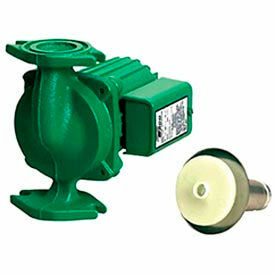 Taco® Model 009 Cartridge Circulators Are Used For Use In Higher-Head/Lower Flow Water Circulation Applications. Taco® Model 009 Cartridge Circulators are made of cast iron for long lasting durability. Use for hydronic heating, radiant heating and closed-loop solar heating systems. Made with compact build and standard high-capacity output. 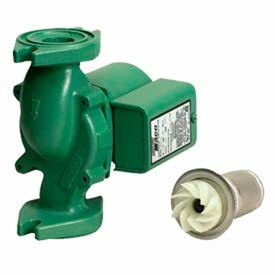 Replaceable cartridge contains all moving parts and allows for easy service eliminating replacement of entire circulator. Self-lubricating with no mechanical seal for maintenance-free operation. Universal flange to flange dimensions. UL® listed. Color is Green. Types are 009 Series Flanged Cast Iron Circulator 115V, 009 Series Flanged Cast Iron Circulator 115V, Ifc and 009 Series Vs Flanged Cast Iron Circulator 115V, Vdt. Replacement O-Ring Castings, Complete Replacement Cartridges in Bronze or Cast Iron and Stainless Steel Circulators are also available. Taco® 1400 Series High Capacity Circulators Are Used For Use In Medium To High Flow Applications. Designed for a wide range of larger residential and commercial hydronic systems. Circulators are made with a compact build and standard high-capacity output. Bearings are permanently lubricated and sealed for life. Precision-balanced rotor ensures quiet and efficient operation. Universal flange-to-flange dimensions are used for retrofits. Anti-condensate feature is used for chilled water. Circulators include dual electrical knockouts and dual pressure taps. Available in Cast Iron or Bronze. UL listed. Taco® Model 00R-IFC® Radiant Heating Circulators Are Used For Higher Head And Lower Flow Configurations Of Many Radiant Heating Systems. Model 00R-IFC® circulators are made for radiant heating applications. 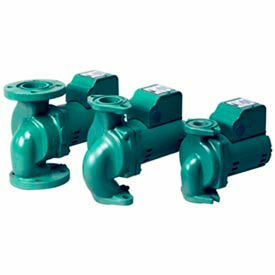 Integral Flow Check (IFC®) prevents gravity flow and reverse flow, simplifies piping and reduces installation cost. Self-lubricating with no mechanical seal for maintenance-free operation includes LED indicator light. UL® listed. Taco® Model 0010 Cartridge Circulators Are Used For Light Commercial and Residential Hydronic Heating, Chilled Water Cooling and Potable Hot Water Systems. 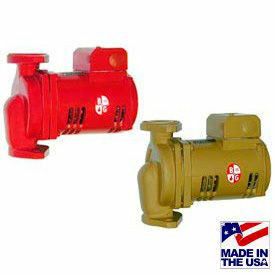 Taco® Model 0010 Cartridge Circulators are made of cast iron, bronze or stainless steel for long lasting durability. Designed for all open-loop freshwater systems providing standard high-capacity output in compact build. Contains all moving parts and allows for easy service eliminating the replacement of entire circulator. Self-lubricating with no mechanical seal for maintenance-free operation. Offers direct-drive, low power consumption for high efficiency jobs. Universal flange to flange dimensions. UL® listed. Available types are Series Flanged Cast Iron Circulator 115V/Ifc, Series Flanged Stainless Steel Circulator 115V, Series Vs Flanged Cast Iron Circulator 115V/Vdt, 3-Speed Circulator, 2-Way Flg - 115V, Bronze Inline Circulator 1/12Hp and Inline Cast Iron Circulator 1/12Hp. Sizes vary per type. Taco® Model 005 Cartridge Circulators Provide Quiet And Efficient Operation In A Wide Range Of Residential And Light Commercial Water Circulating Applications. Circulators are used for domestic water recirculation, solar thermal, hydronic heating/cooling, radiant and indirect water heater applications. Replaceable cartridge contains all moving parts and allows for easy service, rather than replacing the entire circulator. Cartridges are self-lubricating with no mechanical seal for maintenance-free operation. Universal flange to flange dimensions. Available in Cast Iron, Bronze or Stainless Steel. UL® listed.